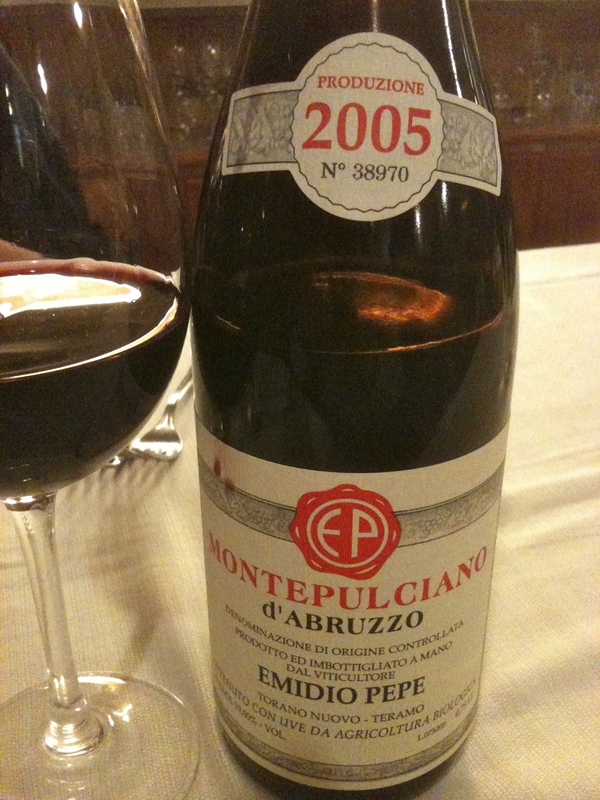 When I was in Rome in May I saw the Emidio Pepe 2005 Montepulciano d’Abruzzo on a restaurant wine list for 38 Euros. This was a real bargain as this wine would be twice the price if I could find it at a retail store in NYC. 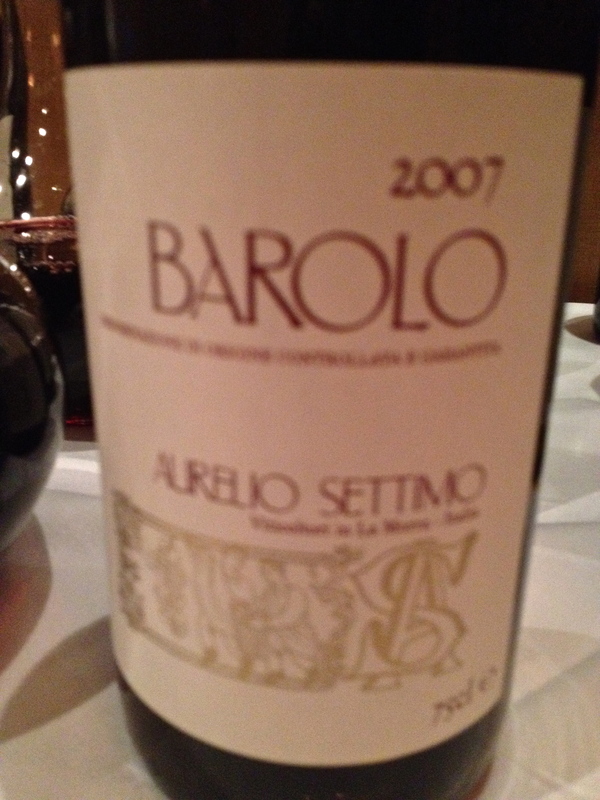 I knew that the wine could use another 10 to 15 years before it would be ready to drink, but since it is one of my favorite wines and I never had the opportunity to drink one so young, I ordered a bottle. It had full aromas and flavors of red and black fruit and the roast lamb that I ordered for my main course softened the tannins. 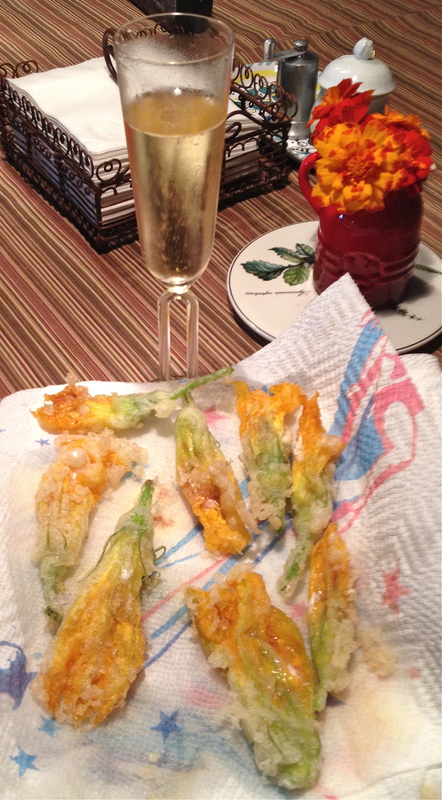 It was a great combination. 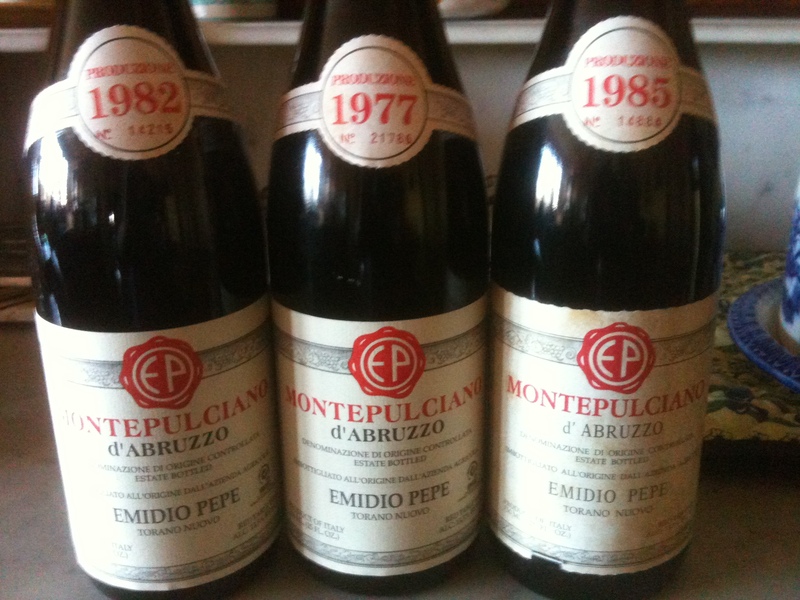 I always look forward to tasting Emidio Pepe wines but drinking them is always better! 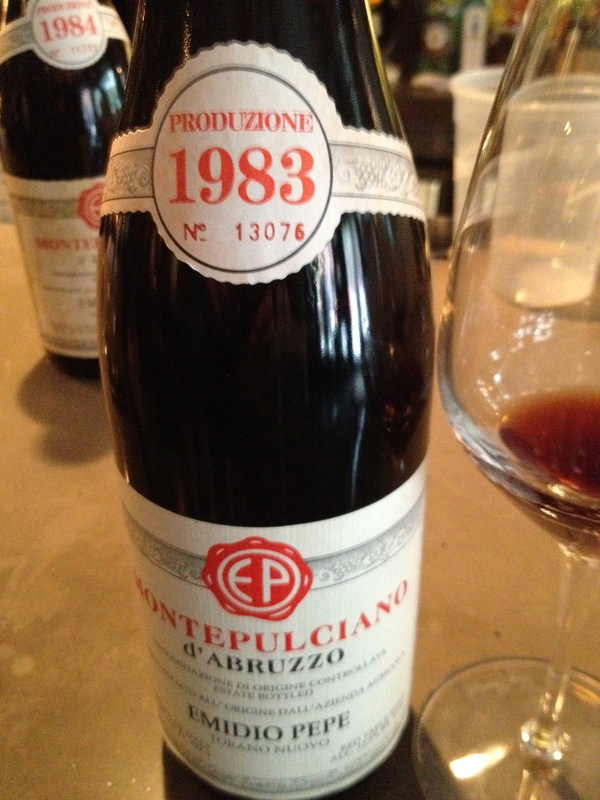 Over the years I have been fortunate to drink the 1975, 1977,1979,1983,1985 and 1993 vintages of the Montepulciano and have tasted other vintages both in NYC and in Italy. I have only had the 1995 Trebbiano. 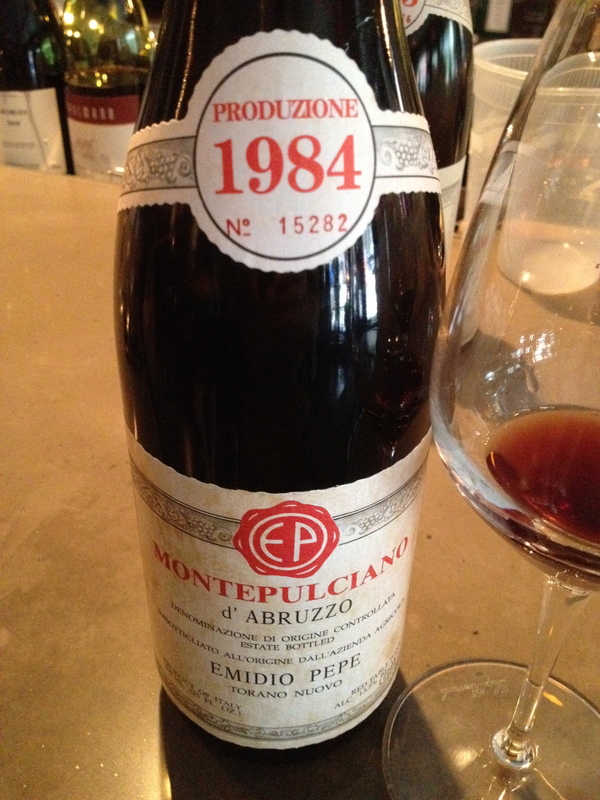 I met Emidio Pepe a number of times both in NYC and at Vinitaly, the wine fair in Verona, but could never get the answers to all of my questions about his wines until recently when Chiara De Julis invited me to taste the 1983 and 1984 vintages of the Montepulciano. I know Chiara as the public relations person for the winery, but I had not realized that she was Emidio Pepe’s granddaughter. Chiara began by telling me that her grandfather’s first bottled vintage was in 1964 and at that time he had only one hectare of vines. Today there are 12 hectares of vines near the Adriatic Sea that stretch out over the Teramo hills at the foot of the Gran Sasso Mountain. 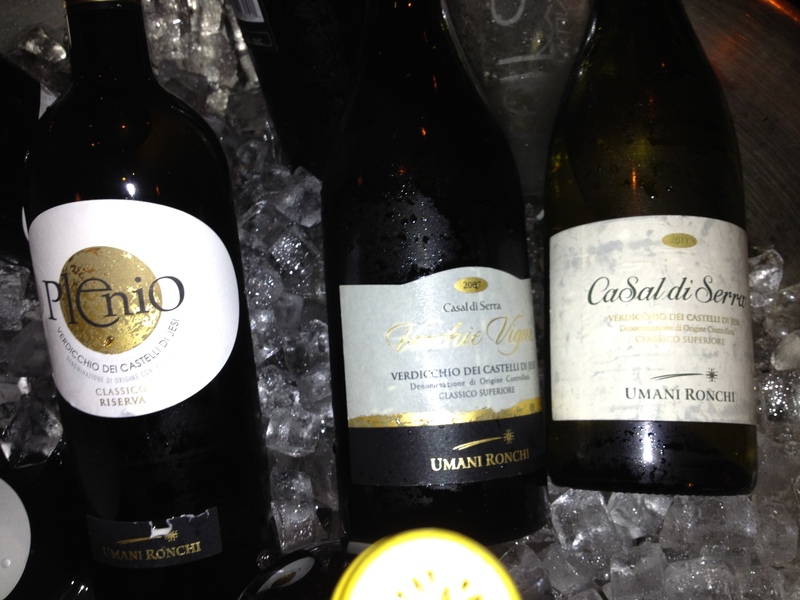 The winery produces only two wines — the Trebbiano d’Abruzzo and the Montpulciano d’Abruzzo. Chiara said that they have just one clone for the white and one for the red. In the early days, friends told Emidio that he was building castles in the sand but he replied that he was building wine castles. 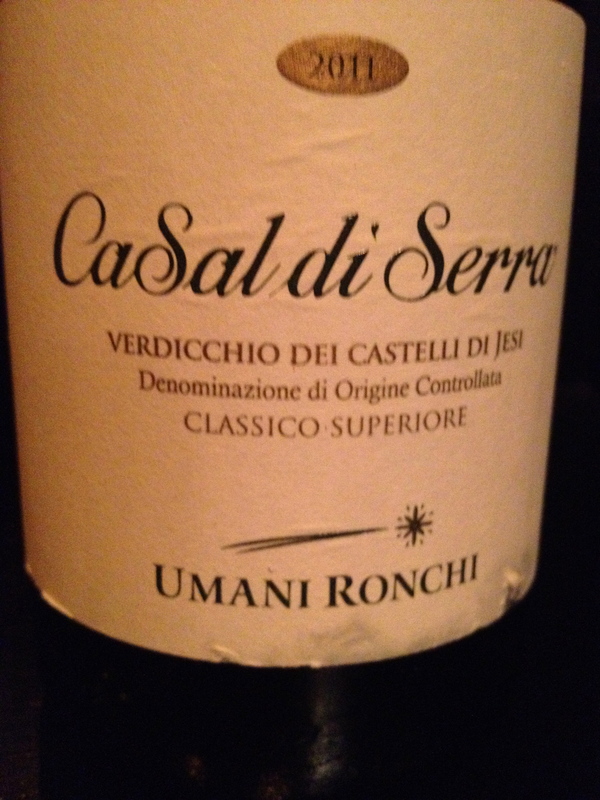 He had faith in the Montepulciano grape and as it turned out, he was right. Chiara said they use both the tendonne method and the cordon spur method for training the vines. In vintages when the weather is very hot the tendonne method is better because the leaves form a canopy to protect the grapes from the sun. When the weather is not too hot, the cordon spur is better because it allows more sun and air to reach the grapes. According to Chiara, 1 hectare of tendonne has 900 vines and produces 90 quintals of grapes. That means that each vine produces from 6 to 9 kilos of grapes. In one hectare of cordon spur trained grapes, there are 3,300 vines and each vine produces 5 to 6 kilos of grapes. The Emidio Pepe winery is Organic and Bio-Dynamic. They belong to the Triple “A”– Agriculturists Artisans Artists, an association of wine producers from around the world that believes in Organic and Bio-Dynamic production, terroir and as little interference as possible by the winemaker in the winemaking process. 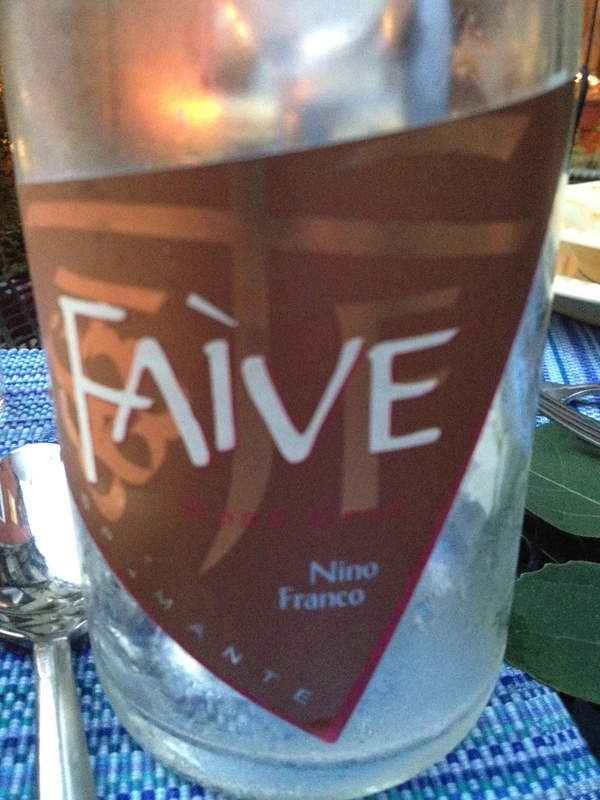 In their vineyard only sulphur and copper water are used along with biodynamic preparations. Only natural yeast is used and Chiara said that this gives the wine more complexity because there are so many different strains of yeast on the grapes and in the air. The white grapes for the Trebbiano are crushed by feet and the red grapes for the Montepulciano by hand. No sulfites are added to the wine. The juice is placed in glass lined cement tanks of 20/25hl. The white remains here for one year and the red for two years. The wine is then transferred to bottles by hand. 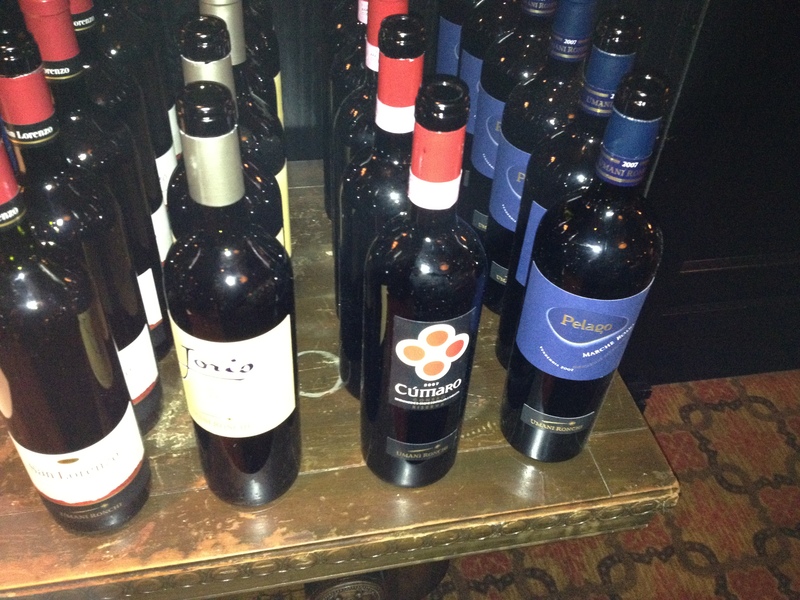 In Italy the current vintage is 2009 but in the USA it is 2003. 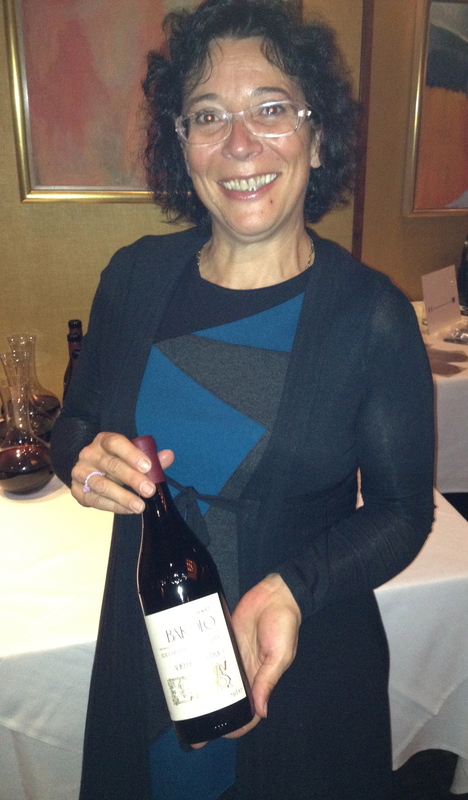 Chiara told me that only older vintages are sent to the USA because the younger wines are not ready for the long trip. The wine has to be well balanced and decanted to manage the trip and only their best wines are sent to the USA and put on the market. Chiara’s grandmother Rosa Pepe is in charge of the decanting process. Since this is a natural wine malolatic fermentation may take place in the tank or the bottle. There is no filtration or fining. 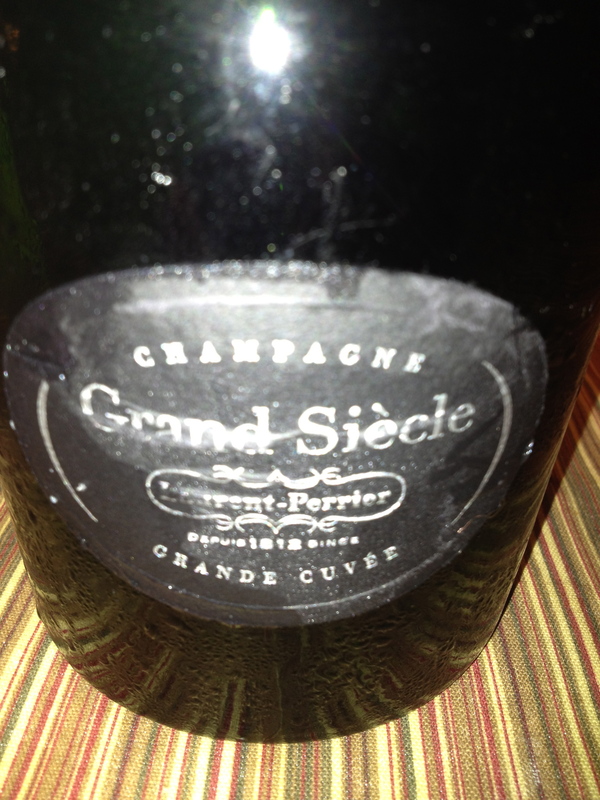 The corks are placed in the bottles by hand and only the best cork is used. She said that they guarantee all of the bottles that have been decanted at the cellar for 20 years, no matter if the vintage is 2003 or 1983. About 60,000 bottles a year are produced. 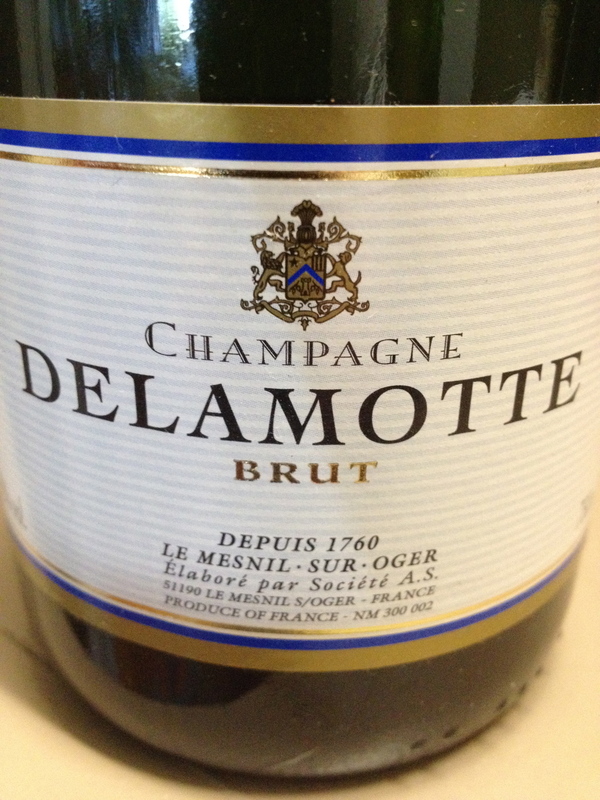 In an exceptional vintage they will hold back 70%. Chiara told me that at first her grandfather did not like the 1983 vintage so he kept it in his cellar and did not sell it. A journalist came for a visit and asked why there was no 1983 on the market. When Emidio explained, the journalist asked if he could try it. Emidio agreed and they tasted it together. 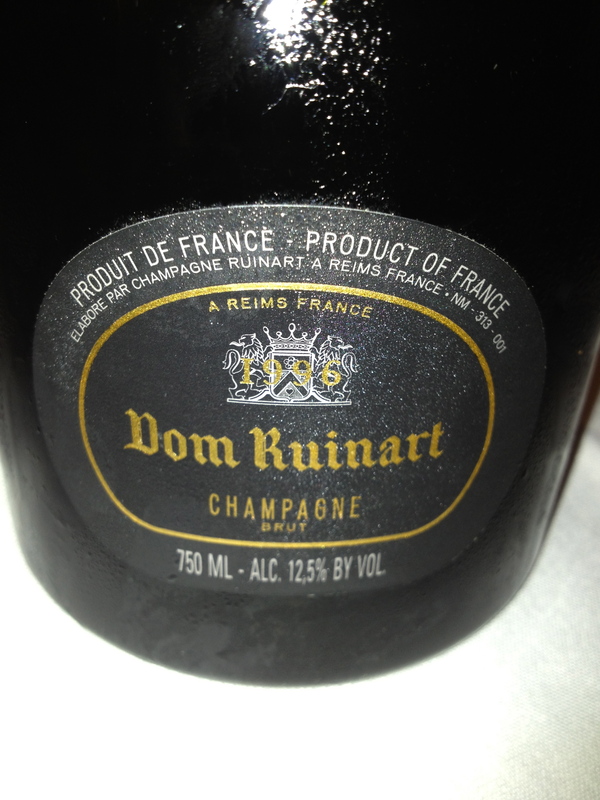 The wine had developed in the bottle and the two decided that it was a great wine in a great vintage. Emidio put 30% of the 1983 on the market. 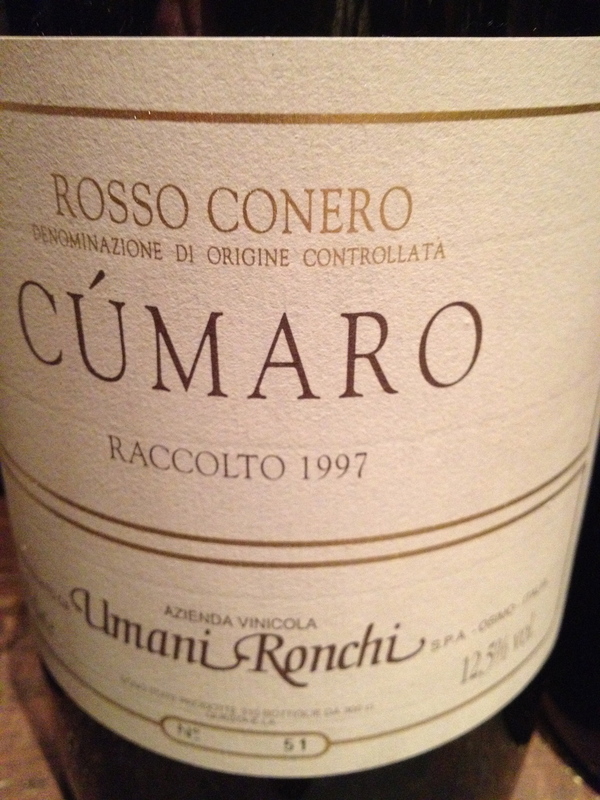 I am glad it is for sale, it is a great wine make. 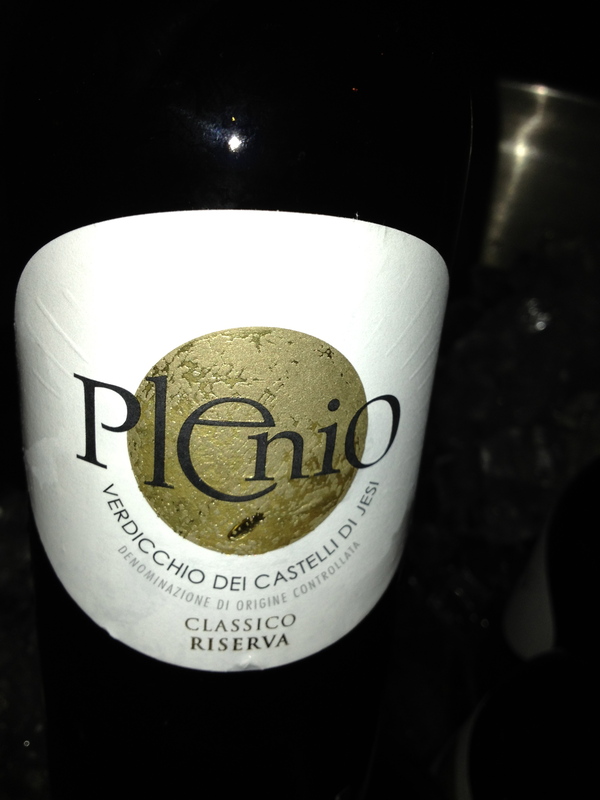 Chiara said that they have 600,000 bottles of wine from 1964 to the present vintage. This is a family winery where everything is done by hand (and in one case feet) from the time the grapes are picked until the labels are placed on the bottles. Now I understand why these wines age so well and why I enjoy them so much. Filed under Bio-Dynamic, Emidio Pepe, Italian Red Wine, Italian White Wine, Italian Wine, Montepulciano d' Abruzzo, Triple "A"